Bengaluru: More of Tamil Nadu registered buses, Lorries, cars, and two-wheelers have torched. Some media updated all the issues as live from Bengaluru and Mysore. According to the report, the 56 buses were set on fire Yesterday at KPN bus depot. The Bangalore Police officially announced the Section 144 from the evening of September 12 to September 14, 2016. The Police ask the people as stay indoors and requested the people to follow the law and orders. 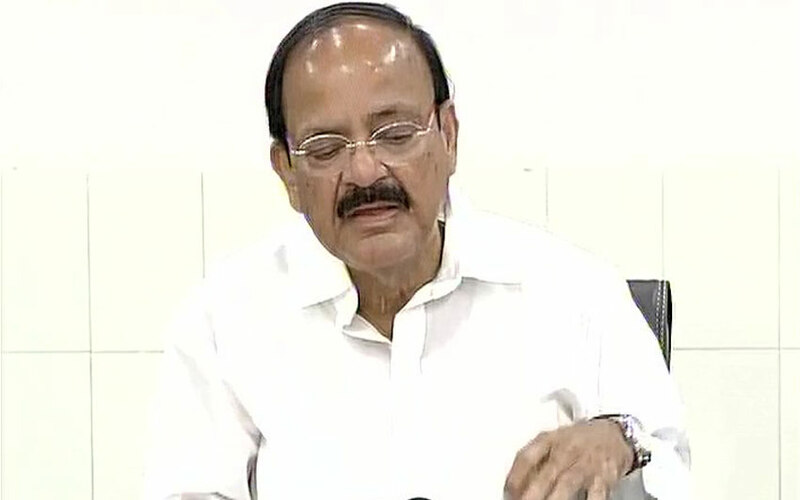 The Union Minister of Information and Broadcasting M Venkaiah Naidu speaks about the ongoing situation at Bengaluru. I appeal to both the state governments to ensure people from other states are protected and take necessary action to stop the violence. I have a special appeal to the media, particularly to the electronic media to exercise restraint in reporting incidents of violence and not show the same visuals of arson as it might incite further violence. You are a free media, and there is every right to freedom of expression/speech. But at the same time, you are also the citizens of the country. It is the combined responsibility of the government and media to protect social harmony. It is in the interest of the national unity and good relationship with neighbouring states, that peace must be restored. I also appeal to the common man to maintain peace and harmony in the interest of national harmony and maintain a good relationship with neighbours. No common man has done anything wrong regarding the issue. But a court’s verdict has to be followed or the same has to be challenged further in the court of law. This is the only appeal I want to make. As per the report of Bengaluru City Police, the current situation is totally calm. There is no fresh protest today. So, the Bengaluru City Police requested the people to don’t panic. Also, they ask the people those who all have the photos (or) videos of yesterday incidents. To send all those things along with time and place to the official twitter account of BTPPubliceye and N S Megharikh IPS, Commissioner of Police. The Bengaluru City police also provided the Helpline services. So, people can use the helpline emergency call through dialling 100 and 1095. Also, the BCP, BTP, RAF on high alert. The section 144 still in force at Bengaluru. Sadananda Gowda, Minister of Statistics and Programme Implementation in the Government of India shared his own words about Cauvery Issue. He is the 20th Chief Minister of Karnataka. Don’t blame people of Karnataka, we are ones who don’t have water. People of Tamil Nadu are provoking Kannadigas. People of Tamil Nadu are assaulting Kannadigas in Tamil Nadu, even after Kannadigas being so magnanimous. But everyone must calm down.